Did you hear? Winter is over. (Well, almost.) Soon it will be time to venture back outdoors and gather with friends and family. Food is practically a requirement at most get-togethers, but wine always makes a nice splash too. Consider the Built NY Wine Tote for all your wine traveling needs. 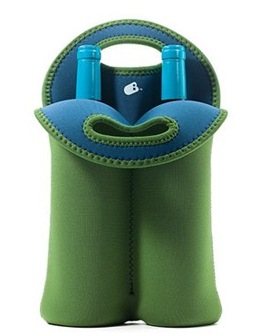 Made from neoprene, it stretches to accommodate most common sized bottles. Easy to carry, the tote insulates wine or champagne for up to four hours. As an added bonus, the bottles have their own compartment so they wont be clacking together (or breaking) while on your way to the party. Spices make life, well, spicier. It’s good to always have a wide variety on hand. What’s even better is to have your spices in easy reach. These Magnetic Plastic Spice Bottles by Lipper International match any décor with their stainless steel lids and elegant black containers. Spices stored inside are easily visible through these through top. Sprinkle and pour holes are integrated along the edge. Best of all, they are magnetic, so you can stick ‘em right on the fridge and always have them on hand. If there is one thing that there can never be too much of it’s types of hot sauce. Each and every one has its own perfect use. From Sirracha on noodles and rice dishes to Tapatío on all foods Mexican, hot sauce is the essential condiment that completes the meal. 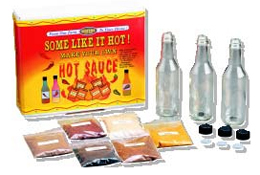 From vinegar based recipes to those that rely heavily on the peppers, now you have a chance to find the perfect blend with the Make Your Own Hot Sauce Kit. Including instructions and recipes along with six starter spices (allspice, black cumin, curry powder, achiote, Jamaican jerk, ginger), the kit is attractively priced at $19.95. Perfect for anybody who likes to linger a little extra longer in the hot sauce aisle. Recipes include: Cajun Garlic Lover’s Sauce, Easy Going Achiote, Tropical Storm and Flaming Fruit Sauce. Officially licensed by Rubik’s, this spin on the popular puzzle features dimensions that are the exact shape and size of the original time-chewer. However this time the puzzle that has frustrated so many, can be solved by anybody. 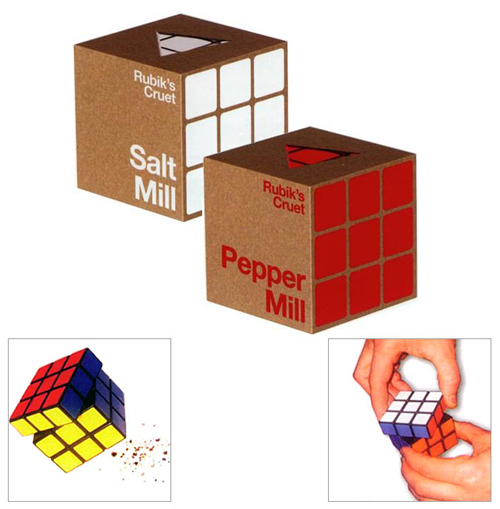 The Rubik’s Cube Salt and Pepper Mills are built around a durable ceramic mill for grinding varying sizes of salt rock and peppercorns. 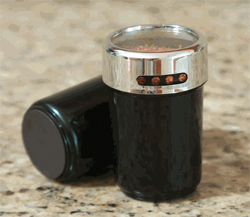 The pepper mill has the red side on top, while the salt mill is easily distinguished from the two by its white top. Just place over food and twist the top row. No longer do you need to grind it out to find a solution, because these little cubes do all the grinding. There are only four possible combinations, so you have a pretty good chance of being able to finally solve the Cube!